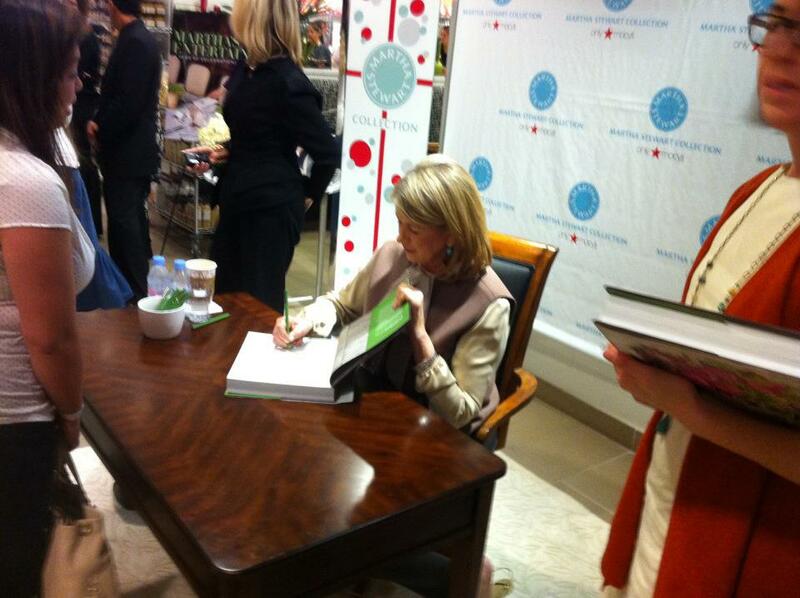 Martha Moments reader Brandon Budrow sent in this photo of Martha signing copies of her book Martha's Entertaining A Year of Celebrations at the South Coast Plaza in Costa Mesa, California, last week. Brian says Martha signed his copy of the book. "She's amazing!" he says. A lovely Martha Moment! Thanks, Brandon.